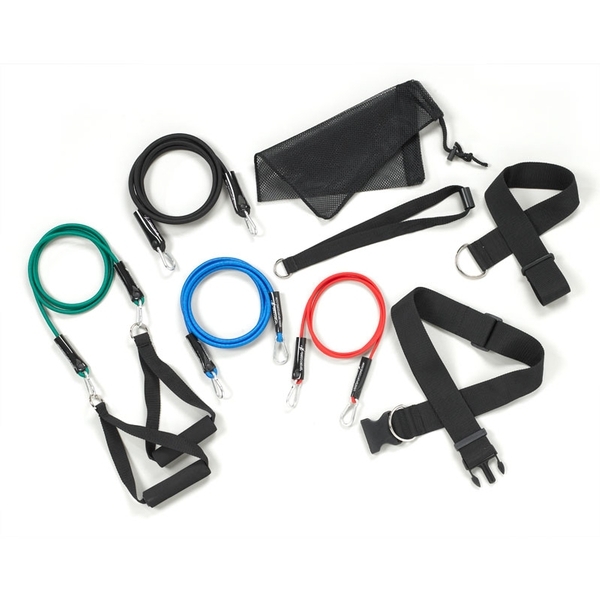 Sport Cord® is one of the original and most trusted pieces of resistance equipment for developing strength, flexibility, and range of motion. 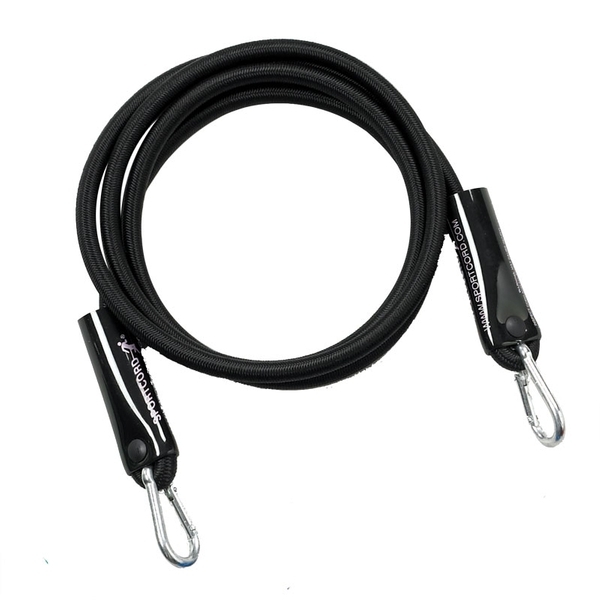 Designed by physical therapists and athletic trainers, Sport Cords are durable and built to last. They are made in the U.S.A. from rubber, nylon, and steel materials that ensure a consistent, smooth stretch each time. Their versatility allows you to perform dozens of different exercises for the lower body, core, and upper body that build strength, flexibility, and muscle endurance. 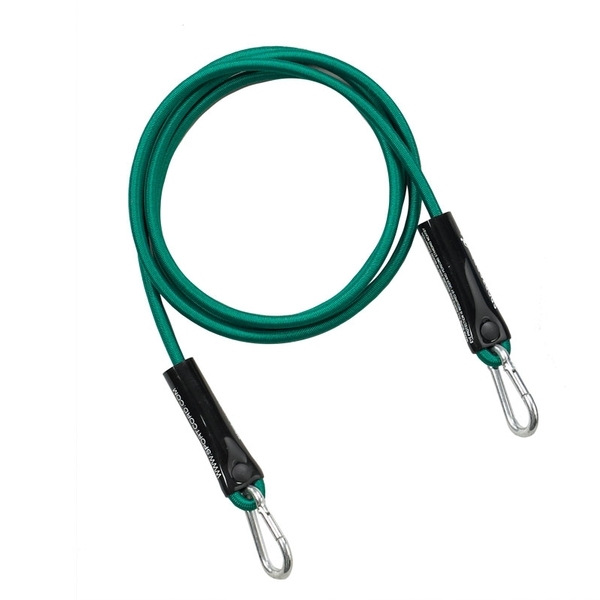 Sport Cords can be used for rehabilitation, general fitness, or even elite-level training. 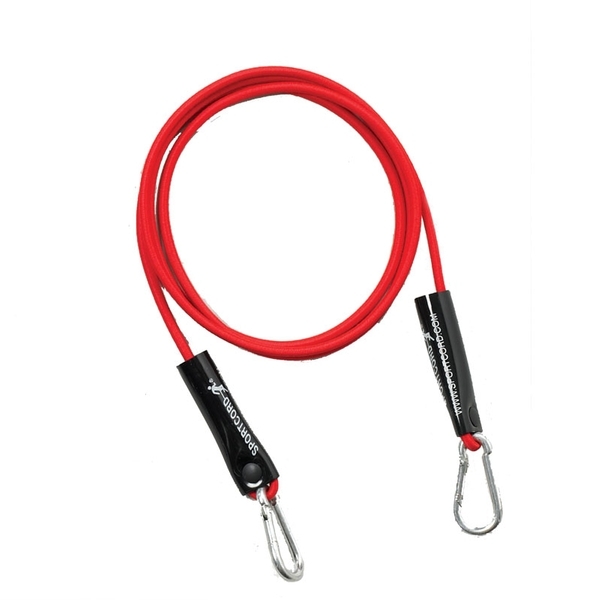 The high-quality materials are designed to withstand wear, making them safe for repetitive use in the clinic, gym or at home. Approximate cord length: 6' un-stretched; 10' fully stretched. 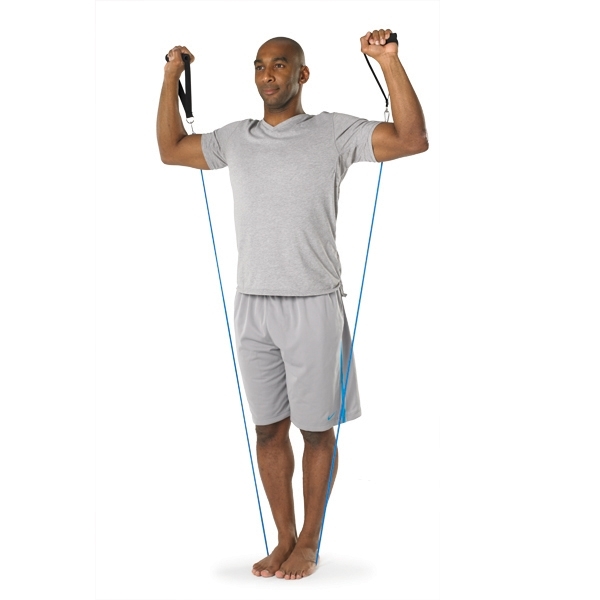 Use for lower body exercises and tethered running. Use for upper body exercises for most men. Useful for upper body exercises for most women. Useful for early-stage orthopedic rehabilitation. I purchased the sport cord in order to workout in my bedroom after the kid goes to bed. I was pleasantly surprised how good of a workout I got. No, it&apos;s not the same as free weights but it fits in a small drawer. 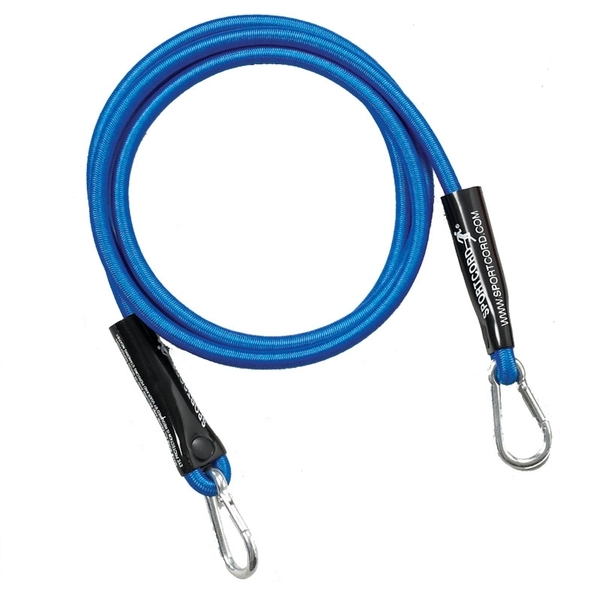 I&apos;m not a small guy and the blue cord has pretty challenging resistance for upper body. The black cord is really tough. The best part about sport cord is the clips at the ends. Instead of pinching a couple different tubes in a door, I just put the anchor in the door and clipped on the cord I wanted. Switching cords was easy. I haven&apos;t used the waist belt or leg cuff but I can see it would be just as easy. The only thing I wouldn&apos;t suggest is using them with bare feet. It&apos;s really uncomfortable on your arches and rubs against your skin. Shoes are a must. Haven&apos;t used it for this, but a buddy has one and clips it on a chain link fence at the baseball field. Seems durable. Only had it for a couple weeks. Overall, I like these better than tubes.